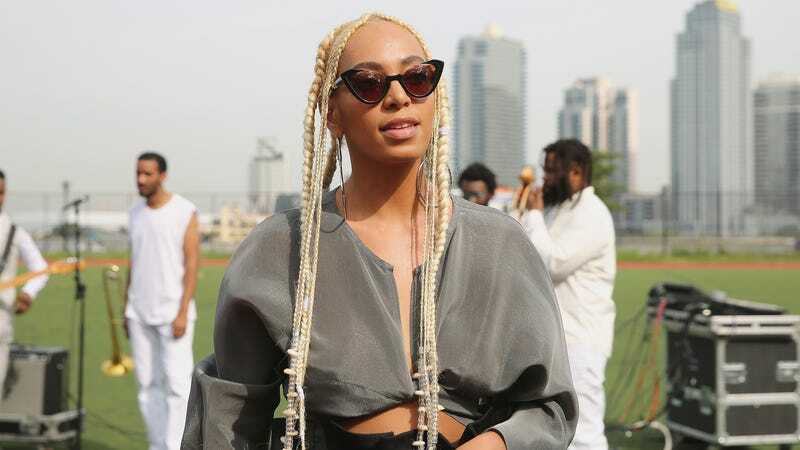 Yesterday, Solange posted on Instagram that she would no longer be performing at the Johannesburg, South Africa Afropunk festival this New Year’s Eve. The singer cited her doctor’s concerns about her performing after a long flight, and that for the last five months she’s been dealing with an autonomic disorder. This sort of openness about private health concerns is still rare within music, but this year saw an increased awareness around that conversation. Billboard reported that singers like Demi Lovato and Selena Gomez opened up about their own health concerns, and Jay-Z, Solange’s brother-in-law, expressed how going to therapy helped him in later in life.